We’re back with the second episode of Reaching Eden! 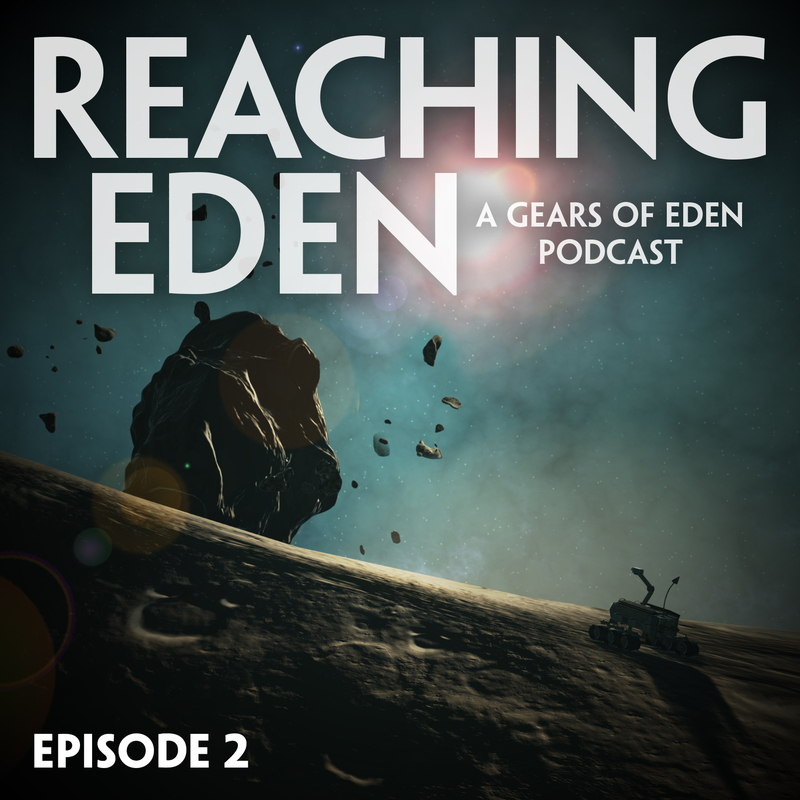 Reaching Eden is the podcast from the creative team behind Gears of Eden, an indie space adventure game that explores a world of sentient machines! Join us as we review the latest and greatest updates from GoE development, share inspiration from the world around us, and discuss the games we’re playing lately. We hope you laugh along with us, learn some new things, and even find some inspiration to help you reach your own Eden (whatever it may be)! In this second episode, we discuss our recent accomplishments in dialogue writing, the user admin system, and a new volume mixer addition to the options menu. Eric finds inspiration in accomplishment, with the help of a useful app. Sledge digs into how Alien: Covenenant relates to Gears of Eden and shares his impression of an Indian rocket launch video. Michael then goes deep, taking us toward a discussion of virtual universes, aliens, and the Great Filter. We wrap things up with a discussion of the games we’re playing this week, which include: Persona 5, Runescape, Overwatch, and Zelda.